Six Oscar nominations is a pretty good reason for a reunion, don't you think? That was the result of Tom Hanks and Paul Greengrass's last collaboration, Captain Phillips, and now they're set to reteam on a project that sounds like a sure-fire awards contender. Hanks and Greengrass will reteam on News of the World, based on the bestselling novel by Paulette Jiles. Penned by Lion writer Luke Davies, the post-Civil War story follows Captain Jefferson Kyle Kidd, who earns a living traveling from town to town reading newspapers to the largely illiterate citizens. When he's entrusted with a 10-year-old girl and tasked with returning her to her relatives, they form an unlikely bond akin to father and daughter. 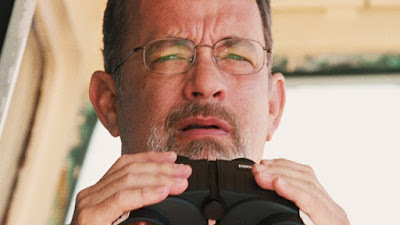 Hanks has been attached to the project since 2017 but it took this long to secure the right director. Sounds like a perfectly paternal role for Hanks, who is one of the most trusted and beloved actors in Hollywood. Greengrass most recently directed the the Norwegian drama 22 July for Netflix, and while it received decent reviews kinda came and went without much noise. No word on a start or release date but Variety says more casting is expected soon.